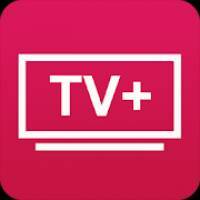 TV+ HD – онлайн тв is a Video Players & Editors android app made by AndevApps that you can install on your android devices an enjoy ! It is possible to customize the application to your taste and add streams / TV channels from any sources (HLS-format), including your local IPTV provider. There is support for Google Cast (TM) for broadcasting from a mobile device to a TV / console with Android TV (TM). To use Google Cast (TM), you must have a device on Android TV (TM) on the same WiFi network, otherwise the button is locked by the system. Added support for the Picture-in-Picture (PiP) function, runs on Android 8 and above. The function allows you to display video on top of all applications. Viewing online TV is carried out via the Internet (IPTV / OTT), so for stable operation, an unlimited Internet channel with a bandwidth of 2 Mbit / s is required. In the absence of unlimited mobile Internet, consider that traffic consumption when watching a TV channel is about 80 Mb in 10 minutes with a bitrate of 1.3 Mbps when selecting the maximum quality and 2 times less when choosing the optimal amount (not available for all TV channels). 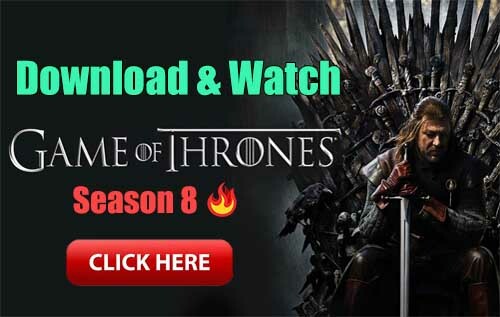 In the case of switching to sound only mode, permanent buffering and hangup of all TV channels, make sure that other applications do not use the Internet or other devices on the network do not occupy the entire width of the Internet channel. Stability of the operation of sources is not guaranteed, periodic technical work is carried out on servers and communication channels. In the app there are paid subscriptions to paid TV channels. Subscription prices are formed based on the requirements of the rightholders and the payment system commission. To cancel the subscriptions in the Play Store application, press Menu, then My subscriptions. On your device must be a video codec H264 with profiles support AVC1.64001E, AVC1.640028, AVC1.4D401F, audio codec AAC MP4a.40.2, otherwise there can be sound without video and application closing. Your device must have sufficient power to play Full HD video, otherwise video artifacts may appear and audio and video mismatches. 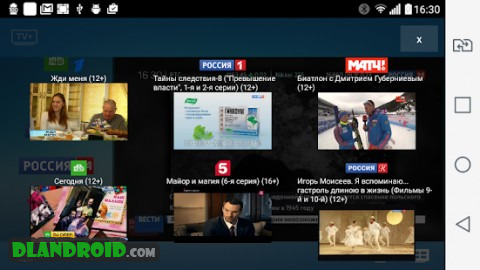 Russian TV channels are available only to users from the Russian Federation (restriction on the IP-address). View is free. The order of the channels of the first and second multiplexes is determined by law. This application is distributed only in the Russian segment. We are open for cooperation, send questions, wishes or claims. The application does not contain such functions as “Video on Demand”, “Video Archive”, “Video Recording”, so as not to infringe on the copyrights of the TV channels. Our service supports the embedding of browsing statistics and the ad insertion by SCTE. Licenses No. 167085 of 11/07/2018 and No. 161309 of December 26, 2017 were issued by the Federal Service for Supervision in the Sphere of Communications, Information Technologies and Mass Communications (ROSKOMNADZOR). Updating of the used system components, Music Box TV channels and Humor Box have been removed due to the end of their work.